I have just returned from the Island Retreat with an ever-deepening appreciation of the Enlightenment Transmission's way of Teaching, which comes from every angle and sometimes none, avoiding stale old information and concepts, gently circumventing the Ego's stuck, resistant mechanisms and suddenly providing clear, structured insights. I never feel like I have to plan or compose the spoken Teaching, instead I am an amused and entertained observer watching in awe the Enlightenment Transmission’s multifaceted approach to bringing sudden realization and breakthrough. The Enlightenment Transmission works in and around the mind, in the body, within sensations and in places where human perception happens, but for which there are no words in our common language. Enlightenment Transmission can lead a person gently and laughingly into emptiness or can stack up a set of crucial realisations so that the Ego has nowhere to go but to digest Itself. These breakthroughs can happen when a participant is being directly or indirectly addressed in a group meeting, observing someone else’s process or when relaxing outside of the classroom environment. On an Enlightenment Transmission Retreat the Enlightenment Transmission is always with each participant. They see the world differently, more simply but in subtler details. Dream patterns and cycles change, allowing for a clear apprehension of one’s core themes and issues. All of these benefits happen in a natural, easy, comfortable and healthy way. Externally, participants are simply laying around, enjoying the sunshine, tasty healthy food and island life. Internally, in the various chambers and dimensions of their inner life, things are being arranged, cleared and clarified. Naturally, the world seems very different, somehow more bright, vivid, optimistic, peaceful and colourful. The content and style of Enlightenment Transmission Retreats may seem familiar on the surface, however the only predictable constant is that they will be unpredictable. The aim of the Enlightenment Transmission is to create not a Teaching but a No Teaching, so that the mind can never objectify reality. This makes the Enlightenment Transmission Teaching different from most other spiritual teachings wherein it is necessary to learn specific concepts. The Enlightenment Transmission Teaching seeks to dissolve all spiritual concepts so that the mind can never land, thereby preventing the Ego from having leverage over direct perception and present unreality. Of course, this approach, which dissolves the very concept of spirituality, is difficult, if not impossible, to describe. However, Enlightenment Transmission Teaching is not concerned with appearances but with results. The “proof of the pudding is in the eating” and Enlightenment Transmission participants are amazed by the unique content, insights and breakthroughs which result from contact with the Enlightenment Transmission. It is “our” little secret, not because we are trying to hide it, but because it cannot be spoken -- but it can be experienced. Therefore, I invite everyone to experience Enlightenment Transmission through online and real-world group meetings and personal One-to-Ones. Over the next few weeks, especially during online Sunday Calls and One-to-Ones, I will be revealing some of the new insights which were received on the recent Enlightenment Transmission Island Retreat ‘Establishing Heaven on Earth with Enlightenment Transmission’. These insights will include how to work with wave-like energy, the structure of the physical and energetic body, the dimensions of being “human”, pre- and post-natal development, sabotage mechanisms, the nature and differences of male and female psychology and relationships, staying grounded and centred. 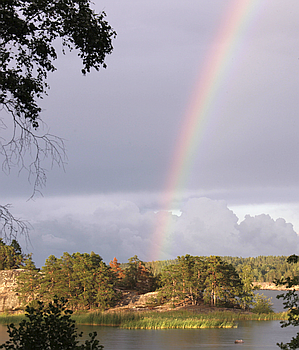 The next Enlightenment Transmission Island Retreat is during Midsummer 2019 in Finland where there will be the famous Midnight Sun and I will celebrate Enlightenment Day on 19th June. If retreat newcomers start preparing now, then they should be able to get most of the multifaceted benefits, learnings and breakthroughs that will be on offer and ripe for the taking on the ‘Enlightenment Transmission Day Midnight Sun Summer Island Retreat’, 13th-20th June 2019. The first Enlightenment Transmission Retreat report event is this Sunday 19th August ‘Key Revelations of the 2018 Summer Enlightenment Transmission Retreat’. I hope you are there to receive the new season’s deep insights.